I usually upload my most recent photos, but often I forget that I have an incredible huge amount of older photos that I didn’t upload yet. As I am only in the mood for short blog posts, I decided to upload one of my older pictures. I found this funny photo of my cat Shyna, where she shows her tongue, and I thought this would be something cool to share. I shot the photo right after I purchased my first DSLR, basically when I started to try out my new camera. 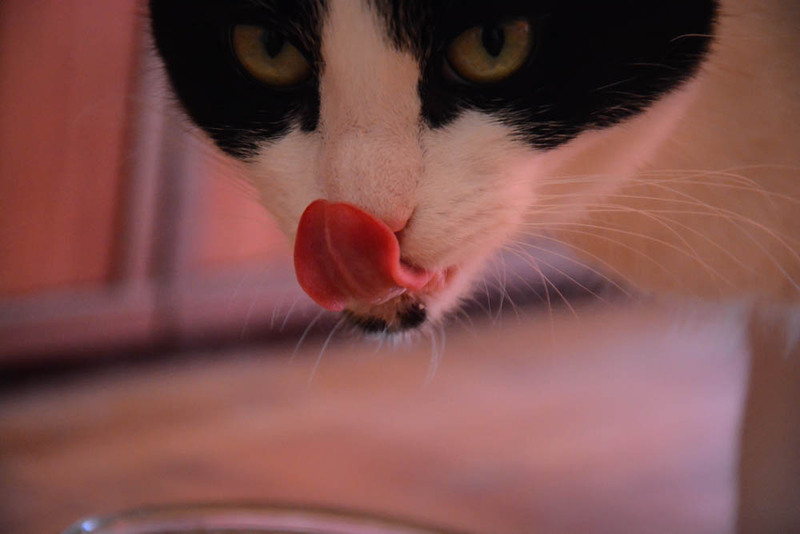 The photo was taken when my cat enjoyed a meal, that’s the chance where you might end up with some funny portraits of your cat. I try to download everything the same day I take them or they can be forgotten, sometimes for years. This way, I can forget them while they are ON my computer and I’ve forgotten what file they are in.